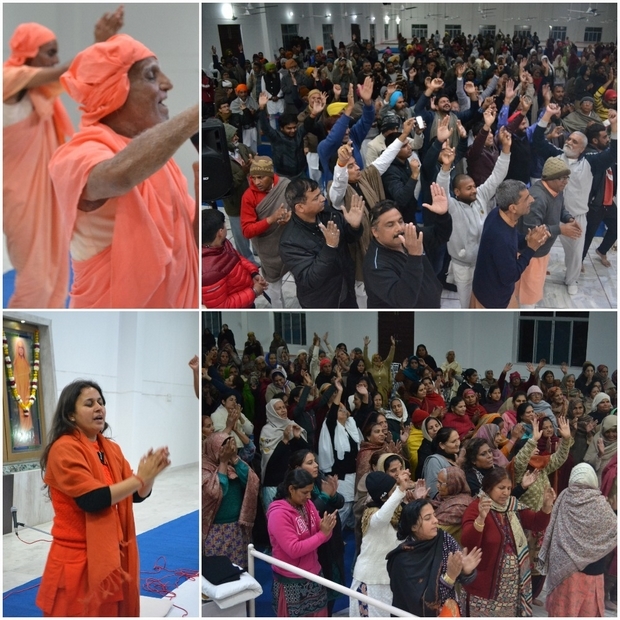 13 February 2018, Shabad Surati Sangam Ashram, Malke, Moga: It is often said that it was only Mahadeva, the Shiva who could drink the poison received during Samudra Manthan. We are powerless human beings who have loads of ups and downs dictating our lives. How can we possibly do it? Let’s explore what Sadhvi Ji and Sri Maharaj has to share in this regard! 1) Don’t be a ball of others beliefs. Own up to your stability over undirected prompt reaction. Learn to digest, i.e. being neutral in howsoever circumstances life presents us with. Make an attempt to change; information without application is a dead loss. 2) Place your faith in magician and not the magic. We are so deeply hardwired by the scientific technology around which we have deliberately surrounded ourselves that we fail to see the biggest invention of all time; an invention we refer to as human beings. Does it ever occur to us that if we can ever have a human formulated in some human made laboratory? If not, who is the ultimate formulator, the eventual scientist, and the peerless creator? The scriptures who proclaim that Shiva drank the poison also proclaim that the first step if we actually wish to even consider the possibility of us being able to do it is by knowing that ‘I am not this body. I am his divine asnh (excerpt)’. We have the same spark within us. It’s just a matter of realizing so. How? Believe, and make a choice to rise beyond. Because, might be unconsciously, but we anyways are savoring poison of rises and falls. And it is by choice; a gambler deliberately chooses so, a drunkard doesn’t want to quit drinking even if it costs him his life. Just the same happened with Ravana and Duryodhna. So, stating simply, the sutra to tag along is that goal should be being one with The one, by realizing our true self. How, by making sure to be in company of Guru and Guru-Sikh; love = surrender unto Guru’s command. During Shviratri sadhna shivir, Swami Guru Chaitanya Puri Ji, who mostly resides in Himalayan abode was also amongst us along with Sri Maharaj Ji. 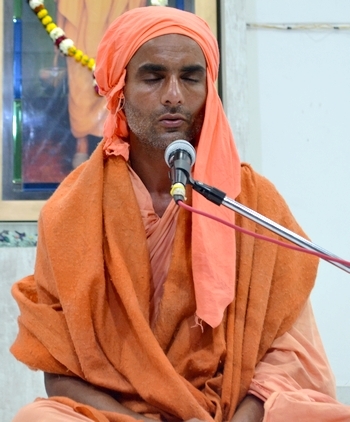 Addressing the devotees who had gathered around to celebrate the occasion, he shared some in-depts of inner divine journey starting with the significance of chanting Om. Talking us through the various states of consciousness, i.e. Jagrati (waking state), Swapna (dreaming state), Sushupti (deep sleep), he spoke about the Turiya (witness state); although advanced, but an inspirational and powerful, step-by-step guide for the one whose sole aim is to be one with The One.